You just found your new favorite pants for lazy mornings! Our breakfast club plush pants are covered with your favorite (smiling!) breakfast foods over a cheery hot pink background. 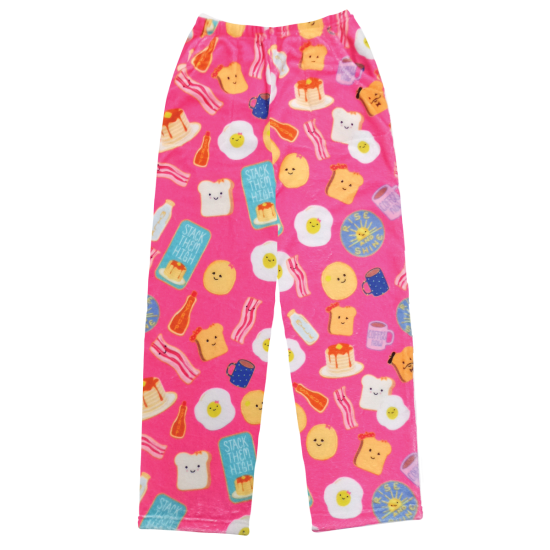 Great for sleepovers, camp, and cozy weekends at home, kids and tweens will love these!